Roku claims this tiny magical box will bring you over 750 channels. And that’s true. Though the word “channel” is misleading to those who are thinking of traditional television. What Roku really means is that their streaming media player will let you run over 750 apps (many similar to those available on the iPad). Some of those apps are produced by television networks, the SciFi Channel for instance. Others, like Hulu, are aggregators of video content. Still others are audio only, such as Pandora. Also counted among the “channels” are games (Angry Birds being the most popular at writing) and screen savers (we’re partial to the Aquarium). 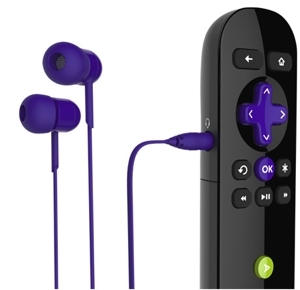 • A remote control that offers Wii-like motion sensing plus a headphone jack for private listening (a huge plus for when TV noise would otherwise disturb others). • A free iPhone and Android app that can turn your smartphone into a remote control. This app let let you see your personal photos and videos on the big screen too. Can a Roku 3 Replace a Cable TV Subscription? That depends what you watch on television. If you watch mostly movies, certain television shows (especially reruns but also some current programming, such as The Daily Show) then absolutely. If you watch a lot of live programming, especially local news, then probably not2. However, even if you fall into the latter category, a Roku 3 would almost certainly let you downgrade your cable subscription to a basic package. That said, when figuring in the cost-benefit of a Roku 3 you have to factor in the cost of whatever Roku channels/apps you’d like watch. Some (most, in fact) of those channels are free. But not all. The excellent Hulu Plus is around $8/month (though you can try it for free). An Amazon Prime subscription is $99 per year (and comes with the benefit of free 2-day shipping on almost all Amazon-fulfilled orders). Netflix seems constantly change their pricing (so check their site for the latest). Other fee-based channels include Vudu and Major League Baseball. The good news is that a Roku 3 unit is only $99 with no monthly costs or additional fees. We’re long-time fans of Apple TV, so we were surprised to discover that we preferred the identically-priced Roku 3 — it offers more content, has a better user interface and has the cool headphone jack built into the remote. Apple TV is better if . . . you’ve already purchased a lot of iTunes videos. The Roku does integrate with the Apple iTunes store. Apple TV does so seamlessly. At a mere $35, Google Chromecast is a less expensive alternative to the Roku 3. 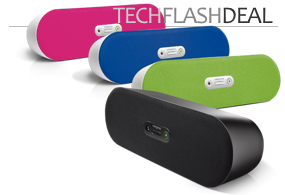 It is also clutter-free, plugging directly into your television’s HDMI slot. The downside? The Chromecast does not have a remote — you need a smartphone, tablet or laptop to operate it. Spot Cool Stuff is as attached to those devices as anyone and, still, we greatly prefer the dedicated remote (if only so we can use our phone while channel surfing). In addition, the Chromecast doesn’t support nearly as many channels. While popular options like Netflix and Hulu are offered, Amazon Streaming Video is not. Google Chromecast is better if . . . you are on a very tight budget and don’t use Amazon’s streaming video service. 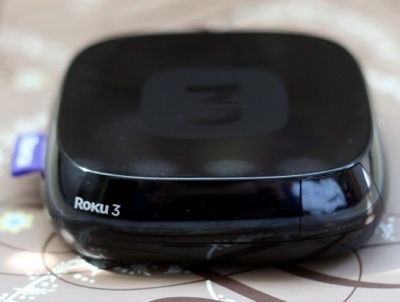 It has been several months since we published the first version of our review of the Roku 3. In the time since, we’ve grown to appreciate it more, not less. Which is why we are raising our initial 4.5 star rating to a perfect 5. We will be keeping an eye on the other streaming media devices scheduled for release over the next year (including one from Amazon). But until using one of them convinces us otherwise, the Roku 3 will stay our favorite streaming media player. 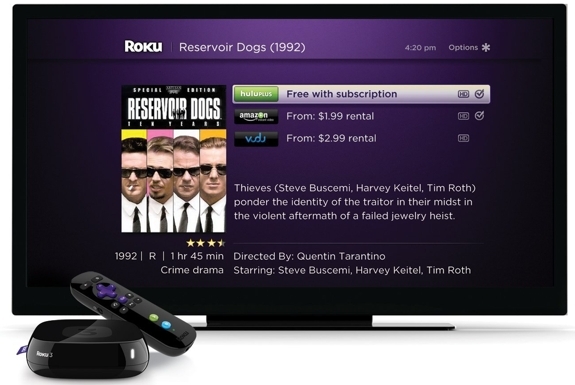 1 The Roku 3 will only work with HD televisions but other Roku models can connect to most any set. 2 Also, some Roku channels, like WatchESPN, are free but require you to have a qualifying cable subscription to make full use of them.